A wide range of residential options…. Most buildings in Kowloon and HK Island comprise of small flats constructed between the 70s and 90s – usually unfurnished with simple, usually tiled, decoration. There is a glut of newer, self-sufficient residential developments (often with club houses and pools). Micheal Wolf has a collection of mind-bending photographs of HK’s high density living arrangements, though foreigners often find such developments soulless, devoid of character and somewhat akin to holiday camps. There are often many different price ranges within the same complex. There is a world of difference between old and new buildings. Whilst some older properties may have damp or pest problems, ‘walk-ups’ (i.e. no elevator ‘Tang Buildings’), many offer more floor-space and cheaper rents. Serviced apartments fill the gap between hotels and the rental market. They are often poor value but are ideal for singles, those staying only for a few months or people who need to live very close to work. Off HK Island, rents will be cheaper the further north you go but you will be further from the action and transport links. Low-rise options on outlying islands are amongst the cheapest deals – however, expect to tire quickly with the twice daily ferry commutes to/from Lamma or Cheung Chau (rents from HK$3,5000pm). Property agents compete over the same properties. If you enquire with two agents in the same area, one can expect to be shown the exact same flats! Amenities are cheap in HK. Very roughly speaking, in a small flat, water will often be under HK$40pm, gas will be HK$100pm, internet access starts at about HK$200pm and electricity will be several hundred a month depending on the season (air-con use can triple bills in the humid summer). The higher you go in a high-rise, the more expensive the rent (less noise and pollution), with top floor penthouses often including roof access. Very few flats come furnished, but second-hand furniture and van rental is cheap – see the local classified websites listed below. Ignore high-pressure tactics. Take photos/videos when on viewings and, if signing up, check all fixtures/fittings and insist any repairs or alterations are worked into the contract. It’s not unreasonable to even ask for rooms to be divided up with a false/dry wall (perhaps at a shared cost with the owner). Building management fees are usually paid by the landlord. It is also common to be allowed 2 weeks free rent in order to settle in (always ask!). HK is a superstitious place, so flats located near cemeteries command a sizable discount! Most flat-hunters will sign for a property through an agent, who will ask for half-a-month’s rent commission from the tenant and the same from the landlord. Almost all contracts will involve a 12-month minimum term and 3 months rent in advance (first month, a month as deposit and the final month’s payment in advance). This makes setting up in HK particularly expensive, especially if your employer does not agree a salary advance. Some of these terms and costs are negotiable, although they can only really be bypassed if you can find a landlord to deal with directly through the local classified links listed below. Southern Kowloon (Jordan, Yau Ma Tei, Mongkok, Prince Edward): Near the Island (via the red MTR line), yet cheaper and more authentic. These areas are home to working class Chinese, elderly retirees and Asian ex-pat neighbourhoods – namely the small Indian and Nepali communities. There are some sleazier corners, but older buildings in these areas offer good value. Toursity Tsim Sha Tsui is at the southern tip of the Yau Tsim Mong district – great for bars, restaurants and the epic skyline, but a poor choice to live as it is more expensive and there is hassle from tourist touts. Sham Shui Po is quite a poor area and there are some bargains to be had, although anything north of Prince Edward is considered the New Territories and you’re getting further away from the action. Tin Hau, Fortress Hill and North Point: If you simply must live on the Island, these areas offer a happy medium of being more affordable and yet still near to Central and Causeway Bay (via the blue MTR line). Again, there is a good mixture of new and older properties to choose from. Aberdeen: This one-time fishing village is an entirely Chinese area with huge housing estates. A cemetery, country park, nature trails and paths to the reservoir are nearby. Rents for 800sq ft unfurnished start at HK$7,000pm. Black’s Link and Tai Tam Reservoir Road: Very expensive area with tall, luxurious apartments featuring multi-dimensional views of the city. Most flats are privately owned, rents start at HK$50,000pm. Chung Hom Kok and Headland Drive: 5 minutes to Stanley, lots of construction happening. Headland Drive is quiet and secluded – great sea views but expensive and mostly private. Rents from HK$30,000pm. Discovery Bay: A resort-like, self-sufficient residential playground for ex-pats with families. 24-hr fast ferries connect it to HK Island. Rents start from HK$20,000pm. Happy Valley: Situated around the horse racing track, Happy Valley is a short distance to Causeway Bay (a main shopping thoroughfare), Central and Mid-Levels. Clean with good transport links. Apartments are small and start from HK$15,000pm. Lamma Island: 25 minutes from HK Island by fast ferry or 40 minutes by ordinary ferry (not 24-hour), Lamma is home to HK’s hippy and arts community, along with a few ex-pat families. Rents from HK$3,500pm. Mid-Levels, Central: High-rise apartments on steep slopes, spectacular views. Rents from HK$35,000pm. Mid-Levels, West: Above Central, a mixture of small old and new apartments connected by an outdoor escalator. Near to Soho, the restaurant district and Lan Kwai Fong, for partying. Rents vary widely from HK15,000pm. The Peak: The reserve of the super-rich, epic panoramic views and colonial architecture. From HK$50,000. Pok Fu Lam and Cyberport: An open area with steep mountains and deep gullies. Wide sea views and a mixture of housing options. Rents from HK$20,000pm. Repulse Bay and Repulse Bay Road: A popular residential area for Chinese and ex-pats alike, stunning sea views and beautiful sunrises and sunsets. A beach, cricket club and shopping facilities are nearby. Rents from HK$40,000pm. Shek O: On the southern tip of HK Island, a sleep village with fine private homes, lush gardens and a mixture of locals and ex-pats. Rents from HK$15,000pm in the village and from HK$300,000pm in private vintage houses. Stanley: Also popular with ex-pats, this one-time fishing village has a splendid beach and market nearby, along with highly reputable schools. From HK$12,000pm in older areas near the market, otherwise rents from HK$40,000pm. Tai Tam: Open sea views and rolling green hills. Sought after and quiet, Tai Tam has a country park and reservoir nearby. 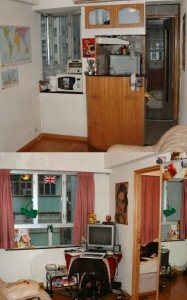 Near to Stanley with rents from HK$45,000pm. Other residential areas include Cheung Chau, Clear Water Bay, Harbour City, Ho Man Tin, Hong Lok Yuen, Kadoorie Avenue, Lantau Island, North Point, Sai Kung, Sheung Wan and Kennedy Town, Tai Koo Shing, Tai Po and Tung Chung. Batgung Blog – Where Should I Live? Tourist Maps of HK pages 1 and 2. 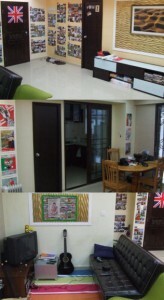 This entry was posted in Blog Living in HK and tagged blog Living in HK on November 5, 2011 by Tom Grundy. We kicked our crew of robots to electronic life and rolled them aboard the truck. Then Igor added one item that I found very interesting. A portable battery charger that he plugged into the truck’s electrical system. Which meant that we would not be returning this night. I wondered just where in the north we would be.